1) How do I set up an account? 2) What brands do you carry? Sky Mart carries a large inventory of aerospace fluids and parts, to view the brands we carry, visit our Products Page, or click here for our line card. 3) What do I do if I have an AOG? Our AOG is available 24/7 days a week. For after-hours support please call 305-592-0263 and press option 2, leave a detailed message of your requirements, how to contact you, and one of our AOG personnel will contact you with an answer. 4) What are your additional charges? b. Packaging Fee: If your order requires a special box or reinforced packaging to ensure safe delivery, then a "Packaging Fee" may be applied. Case(s) of oil shipped via UPS and FEDEX are repackaged using special boxes to ensure that those cases of oil arrive safely. Pallet orders of 10 or more cases do not need special packaging. c. Restocking Fee: If you are returning a product that is not defective or "BER", a 20% restocking may be charged. d. HAZMAT Fee: If your order contains a product that is considered Hazardous, the product would then be packaged accordingly to hazmat regulation and a special HAZMAT fee may be charged. f. Other Fees: Other less common fees include: Dry Ice (if you have a product that requires the use of Dry Ice), Wire Transfer Fee (if you are using wire transfer as a form of payment). If you have any questions on other fees, feel free to contact us. Sky Mart's headquarters is located in Doral (Miami), Florida, US. Hours of operation are Monday thru Friday 8:30am to 5:30pm EST. National and Out of the Country shipments: We export globally to most countries. We can ship using your freight forwarder, or use our network of freight companies. Local Deliveries: we use our dedicated local courier to ship anywhere in the Ft. Lauderdale and Miami-Dade area. 6) What documentations do you provide? Our products ship with all necessary paperwork. For Fluids/Chemical: documents include certificate of analysis, together with the MSDS. 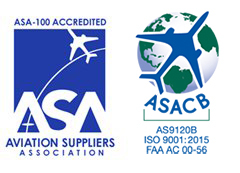 Aircraft Parts: 8130-3, tear-down report (if applicable), traceability, and non-incident statement. 7) How long are quotes valid for? Our quotes are typically valid for 30 days. Under certain circumstances, it can be extended. Call your sales representative for more information. 8) What are your Accreditations? 9) What is the warranty policy on parts? The warranty on parts depends on Tag Date, Condition, and Manufacturer of the parts. For warranty on a specific part feel free to contact your sales representative. 10) What is your product availability? a. For items we stock, we typically can ship the same day. b. Items that are not in stock depend on manufacturer or supplier availability. Availability details are provided on each quote.